Detectable cognitive decline occurs in patients with Alzheimer’s disease (AD) well before the clinical diagnosis can be made with any certainty. 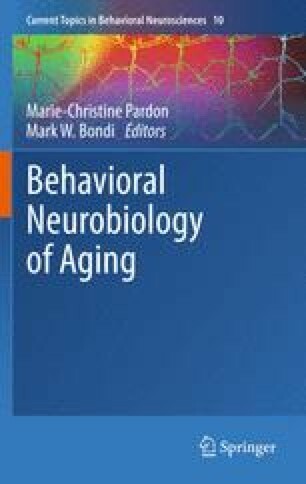 Studies examining this preclinical period identify decline in episodic memory as the earliest manifestation of the disease (i.e., a condition of amnestic Mild Cognitive Impairment). The episodic memory impairment is characterized by deficits in a number of processes including delayed recall, the recollective aspect of recognition memory, associative memory necessary for “binding” representations of two or more stimuli, pattern separation necessary to distinguish between two similar memory representations, prospective memory required to remember a delayed intention to act at a certain time in the future, and autobiographical memory for specific episodes that occurred in one’s past. A growing body of evidence suggests that cognitive changes in preclinical AD may be more global in nature. Deterioration of semantic knowledge is evident on demanding naming and category fluency tasks, and “executive” dysfunction is apparent on tasks that require concurrent mental manipulation of information (e.g., working memory) or cue-directed behavior (e.g., set-shifting). Asymmetric cognitive test performance may also be apparent prior to significant decline in cognitive ability. The pattern and progression of these neuropsychological changes fit well with the proposed distribution and spread of AD pathology and serve as important cognitive markers of early disease.